Oprah looks great for 70! Transcript of 12/10/20 Oprah TV Special. This entry was posted in Operation; Dear Oprah and tagged humor, Oprah, shameless self-promotion, The Campaign, TV specials. Bookmark the permalink. Oh Peg, I simply must have opening night tickets to Walmart, the Musical! Sorry, to get tickets you’ll have to sleep out on the sidewalk all night like the rest of the riff-raff (fame has already made me snooty). Who doesn’t have a go-to pair hanging in the closet? 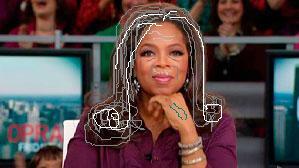 I hope you remember us little people after you’ve pushed Gail aside to become Oprah’s new BFF!! Whadayamean? Even when I’m rich and famous, I’ll still have my peeps send you a heartfelt, computer generated card for Christmas and your birthday! Umm, could you please put me on a wait list for this one?.. I’ll have to see some ID because of the Mature rating.